The Palace Museum, historically and artistically one of the most comprehensive Chinese museums, was established on the foundation of the palace that was the ritual center of two dynasties, the Ming and the Qing, and their collections of treasures. 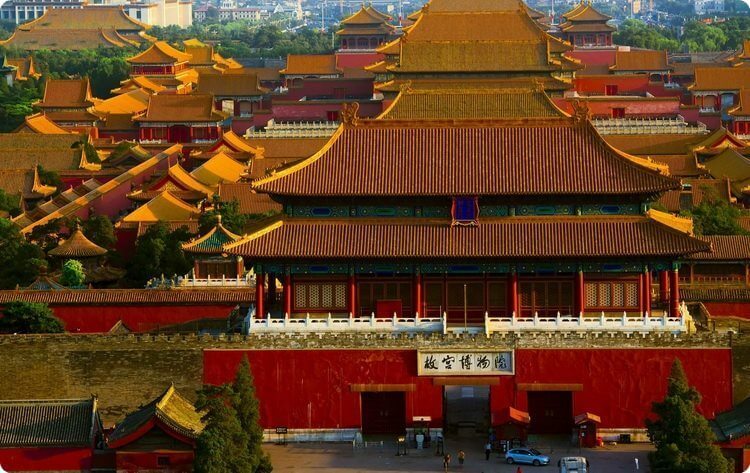 Designated by the State Council as one of China’s foremost protected monuments in 1961, the Palace Museum was also made a UNESCO World Heritage site in 1987. 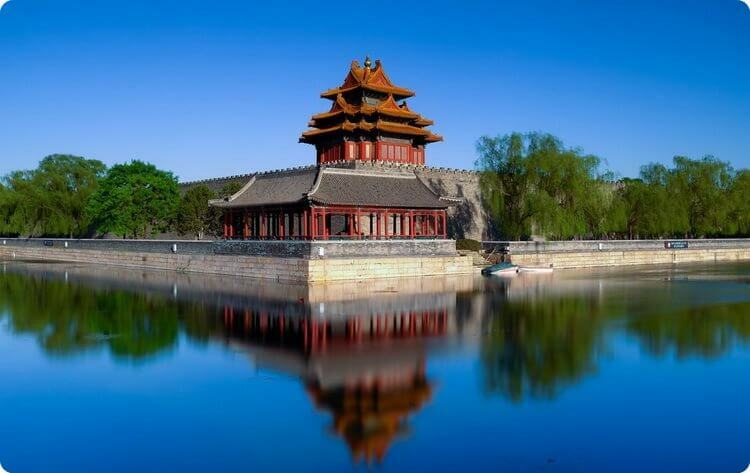 Situated at the heart of Beijing, the Palace Museum is approached through Tiananmen Gate. Immediately to the north of the Palace Museum is Prospect Hill (also called Coal Hill), while on the east and west are Wangfujing and Zhongnanhai neighborhoods. It is a location endowed with cosmic significance by ancient China’s astronomers. Correlating the emperor’s abode, which they on sidered the pivot of the terrestrial world, with the Pole Star Ziweiyuan), which they believed to be at the center of the heavens, they alled the palace The Purple Forbidden City. 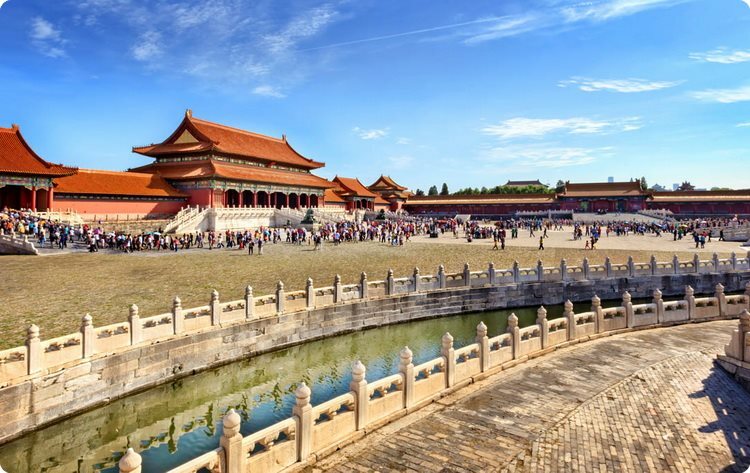 The Forbidden City was built from 1406 to 1420 by the third Ming emperor Yongle who, upon surping the throne, determined to move his capital north from Nanjing to Beijing. In 1911 the Qing dynasty fell to the publican. revolutionaries. The last emperor, Puyi, continued to live in the palace after his abdication until he was expelled in 1924. Twenty-four emperors lived and ruled from this palace during this 500-year span. 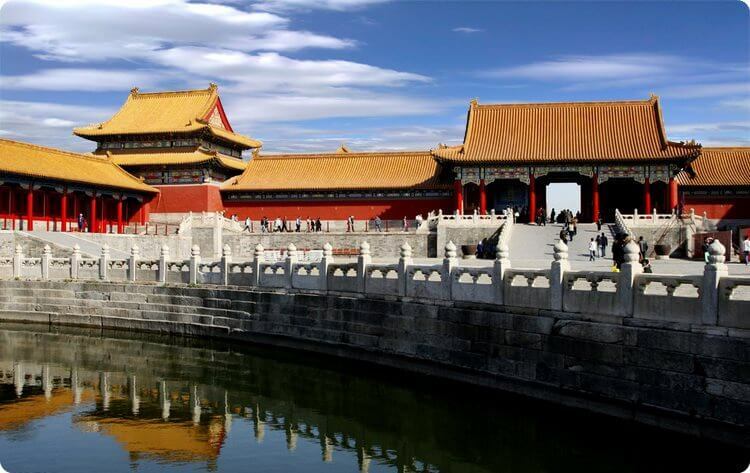 The Forbidden City is surrounded by 10-metre high walls and a 52-metre wide moat. Measuring 961 meters from north to south and 753 meters from east to west, it covers an area of 720,000 square meters. Each of the four sides is pierced by a gate, the Meridian Gate (Wu men) on the south and the Gate of Spiritual Valor (Shenwu men) on the north being used as the entrance and exit by tourists today. Once inside, visitors will see a succession of halls and palaces spreading out on either side of an invisible central axis. It is a magnificent sight, the buildings’ glowing yellow roofs against vermilion walls, not to mention their painted ridges and carved beams, all contributing to the sumptuous effect. 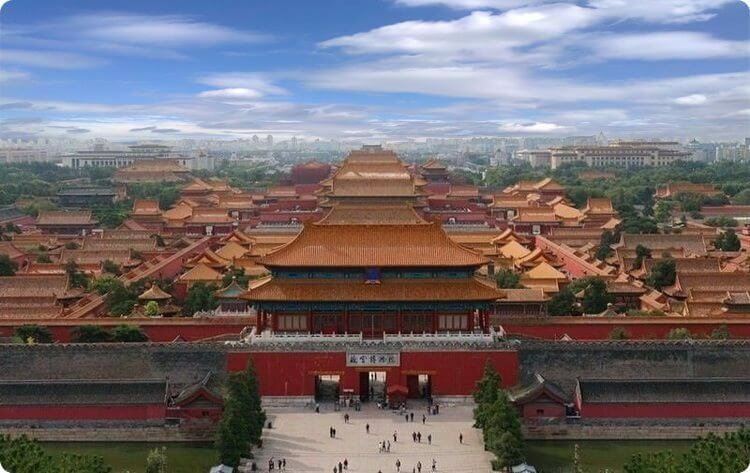 Known as the Outer Court, the southern portion of the Forbidden City centers on the halls of Supreme Harmony, Central Harmony, and Preserving Harmony. These are flanked by the halls of Literary Glory and Military Eminence. It was here that the emperor held court and conducted his grand audiences. Mirroring this arrangement is the Inner Court at the northern end of the Forbidden City, with the Palace of Heavenly Purity, the Hall of Union, and the Palace of Earthly Tranquility straddling the central axis, surrounded by the Six Palaces of the East and west and the Imperial Garden to the north. Other major buildings include the halls for Worshipping Ancestors and of Imperial Splendor on the east, and the Hall of Mental Cultivation, the Pavilion of the Rain of Flowers and the Palace of Benevolent Tranquility on the west. These contain not only the residences of the emperor and his empress, consorts and concubines but also the venues for religious rites and administrative activities. In total, the buildings of the two courts account for an area of some 163,000 square meters. These were laid out precisely in accordance with a code of architectural hierarchy, which signated specific features to reflect the paramount authority and status of the emperor. No ordinary mortal would have been allowed or even dared to come within close proximity of these buildings. After the republican revolution, this Palace as a whole would have been sequestered by the Nationalist government were it not for the “Articles of Favorable Treatment of the Qing House” which allowed Puyi to live on in the Inner Court after his abdication. Meanwhile, all of the imperial treasures from palaces in Rehe (today’s Chengde) and Mukden (today’s Shenyang) were moved to the Forbidden City for public display in History Museum established at the Outer Court in 1914. While confined to the Inner Court, Puyi continuously used such vestiges of influence as still remained to plot his own restoration. He also systematically stole or awned a huge number of cultural relics under the pretext of granting them as rewards to his courtiers and minions or taking them out for repair. In 1924, during a coup launched by the warlord Feng Yuxiang, Puyi was expelled from the Forbidden City and the management of the palace fell to the charge of a committee set up to deal with the concerns of the deposed imperial family. The committee began a sorting and counting of the imperial treasures. A year of intense preparations later, its members arranged a grand ceremony on 10 October 1925 in front of the Palace of Heavenly Purity to mark the inception of the Palace Museum. News of the opening flashed across the nation, and such was the scramble of visitors on the first day that traffic jams around Beijing brought the city almost to a standstill. According to a 28-volume inventory published in 1925, the treasure trove left by the Qing numbered more than 1,170,000 items including sacrificial vessels and ancient jade artifacts from the earliest dynasties; paintings and calligraphy from the Tang, Song, Yuan and Ming dynasties; porcelain from the Song and Yuan; a variety of enamelware and lacquer ware; gold and silver ornaments; relics in bamboo, wood, horn and gourds; religious statues in gold and bronze; as well as numerous imperial robes and ornaments; textiles; and furniture. In addition, there were countless books, literary works and ancient records. All these were divided in to separate collections of antiquities, library materials and storical documents and placed under teams of staff to sort and collate. Exhibition halls were opened to display some of the treasures, while writers and editors worked away at publishing in book or journal form all the new areas of research and academic inquiry that the establishment of the museum had ushered in. The Palace Museum was soon a hive of activity. Shortly before the outbreak of World War II, the Japanese, having annexed territory in China’s northeast, proceeded to march on Beijing. With this looming threat, the museum authorities decided to evacuate its collection rather than let it fall into enemy hands or risk destruction in battle. For four frantic months between February and May 1933, the most important pieces in the collection were packed into 13,427 crates and 64 bundles and sent to Shanghai in five batches. From there they were dispatched to Nanjing where a depository was built and a branch of the Palace Museum established. On 7 July 1937 shots fired around Marco Polo Bridge west of Beijing heralded the eruption of the Sino-Japanese War. Within a year, the Japanese had penetrated to most of eastern China. Now the treasures stored in Nanjing had to be moved again, this time by three routes to Sichuan, where they were secreted in three locations, Baxian, Emei and Leshan. Only at the end of the war were they consolidated in Chongqing, whence they were returned to Nanjing in 1947. By then the Nationalists were considerably weakened, and with the imminent takeover by the Communist armies of areas south of the Yangtze, they began their retreat to Taiwan. Between the end of 1948 and the dawn of 1949, the Nationalists picked relics to fill 2,972 crates for shipping across the Strait. A rival Palace Museum was set up in Taipei to display these antiquities. Most of what were left were gradually returned to Beijing, although to this day 2,221 crates remain in safe-keeping in storag in Nanjing. During this tumultuous decade of war and revolution, not one item of the treasures was lost or damaged even though the volume involved was enormous. This was largely due to the dedicated energy of the Palace Museum staff, whose achievement in preserving these treasures was nothing short of heroic. But it was also as a result of this long period of upheaval that the treasures have been dispersed. Yet the rationale for keeping the collection together, representative as it is of the motherland’s traditional culture, seems so incontestable that most people believe the treasures will be re-united one day. In the early 1950s, shortly after the establishment of the People’s Republic, the Palace Museum staff worked with a new will and enthusiasm to return the Forbidden City to its former glory. Where previously the dirty and dilapidated halls and courts lay under weeds and piles of rubbish, some 250,000 cubic meters of accumulated debris were now cleared out, giving the place a sparkling fresh look. A policy of comprehensive rehabilitation was also launched, and in time the crumbling palace buildings, repaired, and redecorated, looked resplendent once more. All the tall buildings were equipped with lightning conductors, while modern systems of fire protection and security were installed. It has been a priority of the People’s Government, particularly since the beginning of the reform era in the early 1980s, to keep the surrounding moat dredged and clean. As for the collection of antiquities, a systematic inventory was completed during the 1950s and 1960s, redressing the legacy of inaccurate cataloguing. The collection was moreover augmented, for example by the salvage of a number of precious artifacts from a jumble of apparently worthless objects. After more than a decade of painstaking efforts, some 710,000 relics from the Qing palace were retrieved. At the same time, through national allocations, requisitions and private donations, more than 220,000 additional pieces of cultural significance were added, making up for such omissions from the original Qing collection as colored earthenware from the Stone Age, bronzes and jades from the Shang and Zhou Dynasties, pottery tomb figurines from the Han Dynasty, stone sculpture from the Northern and Southern Dynasties, and tri-color glazed pottery from the Tang Dynasty. The ancient paintings, scrolls and calligraphy added to the collection were particularly spectacular. These included, from the Jin Dynasty, Lu Ji’s cursive calligraphy “A consoling letter” (Ping fu tie), Wang Xun’s ” Letter to Boyuan (Bo yuan tie) and Gu Kaizhi’s “Goddess of the Luo River” (Luo shen fu tu); from the Sui Dynasty, Zhan Ziqian’s landscape handscroll “Spring Outing” (You chun tu); from the Tang Dynasty, Han Huang’s “Five Oxen” (Wu niu tu), Du Mu’s running-cursive script handscroll “Song of the Courtesan Zhan Haohao” (Zhang haohao shi) ; from the Five Dynasties, Gu Hongzhong’s “The Night Revels of Han Xizai” (Han Xizai yeyan tu)”; from the Song Dynasty, Li Gonglin’s “Painting after Wei Yan’s Pasturing Horses” (Lin Wei Yan mu fang tu) Guo Xi’s “Dry tree and rock, level distance landscape” (Ke shi pingyuan tu), and Zhang Zeduan’s “Going up River on Spring Festival” (Qingming shang he tu)–all masterpieces without exception. Unremitting though this attempt at recovery has been, however, there have been further exertions in recent years to acquire such works as Zhang Xian’s “Landscape with Poems (Shi yong tu)” (Song Dynasty), Nai Xian’s calligraphy “Ancient poem on south of the city” (Cheng nan yong gu shi) (Yuan Dynasty), Shen Zhou’s landscape handscroll “After Huang Gongwang’s ‘Dwelling in the Fuchun Mountains'” (Fang Huang Gongwang fuchun shan ju tu) (Ming Dynasty), Shi Tao’s ink bamboo “Calling Wen Yuke” (Gao hu Yu ke tu) (Qing Dynasty). The first two were spirited out of the palace by the last emperor Puyi on the excuse of bestowing them on his brother Pu Jie; they fell into the hands of others and only now have been returned to their rightful place in the Palace Museum collection. From the 1950s onwards, the museum’s existing storehouses were completely overhauled to provide a damp-proof and insect-proof environment for the treasures. In the 1990s a new storehouse with a capacity of over 600,000 items was built, equipped with controls for maintaining constant temperature and humidity, as well as safeguards against fire and theft. A workshop was established in the 1950s and expanded in the 1980s to encompass a scientific Conservation Department. These not only continued traditions of craftsmanship, but also drew upon scientific discoveries to facilitate the restoration of damaged relics. In the past few decades the Conservation Department has treated as many as 110,000 objects from the Palace Museum and other public collections. Besides its continuous refurbishment of the main courts and halls, the museum has opened galleries to display bronzes, porcelain, crafts, paintings and calligraphy, jewelry, and clocks to expand the scope of its exhibitions. A number of thematic shows have been held in galleries devoted to temporary exhibitions; in recent years these have included such acclaimed ones as “A Comparison of Authentic and Counterfeit Paintings and Calligraphy”,”Genuine and Imitation Examples of Ancient Porcelain and Materials from Ancient Kilns”, “The Art of Packaging at the Qing Court” and “Selections from the Finest Acquisitions of the Last Fifty Years”. Traveling exhibitions have also graced various provincial museums and broad. 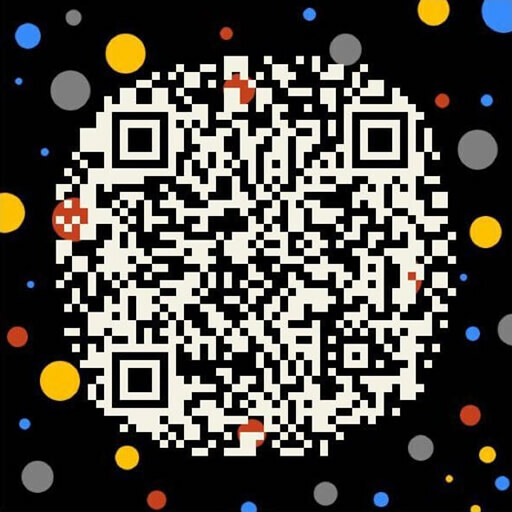 In fact, since the beginning of the economic-reform era, an increasing number of exhibitions have been mounted in countries such as Britain, the USA, France, the former Soviet Union, Germany, Austria, Spain, Australia, Japan and Singapore, among others. All of them have aroused great interest and admiration and played a key part in the promotion of international understanding and cultural exchange. The number of visitors to the Palace Museum has risen along with the growth of tourism, in the last decade reaching six to eight million a year. General interest has been further stimulated by the Palace Museum’s range of publications touching on both the architecture of its buildings and its vast cultural holdings. Published works include Famous Historical Paintings in the Palace Museum Collection, Selected Porcelain from the Palace Museum Collection, National Treasures, Palaces of the Forbidden City, Daily Life in the Forbidden City, A Collection of National Treasures, and The Complete Palace Museum Collection (in 60 volumes, of which 18 have been published so far). There are also two periodicals, The Palace Museum and The Forbidden City. Since 1997, the Palace Museum’s administration has been significantly reorganized. Where previously there were three departments covering conservation, exhibition and research, these have now been split into the departments of Antiquities; of Painting and Calligraphy; of Palace Arts; and the Exhibition, Promotion and Education Department. With substantial investment, the latest technology has been deployed by the newly established Resources and Information Center to set up the Palace Museum website. The website you are now browsing enables all, even those in distant places, to enjoy a sightseeing tour of this mysterious palace and feast their eyes on its splendid treasures.